Your relationship to God depends on it. 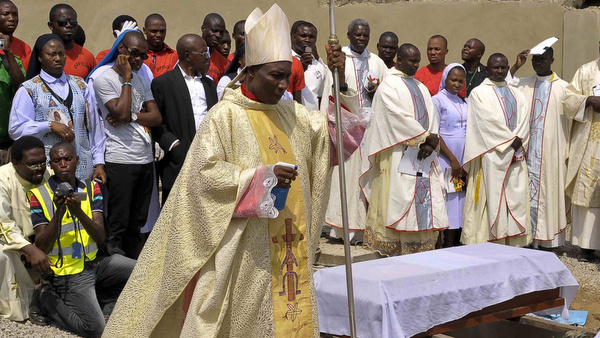 Bishop Martin Igwemezie Uzoukwu walks near the coffins of the victims of a 2012 Christmas bombing in Madalla, Nigeria. If you’ve ever been around a Christian Church of any stripe: Catholic to Pentecostal, Baptist to Orthodox – you’ve heard the “Our Father” AKA “Lord’s Prayer” Just to be clear there is NO “My Father” in Christian scripture. However, recently I’ve been reflecting on this prayer and realize this is how I have prayed for years, AND it is how I see most believers (at least here in the USA) pray; if not in word in attitude. This is something I hope to give-up for lent AND beyond; it is the difference between living out the will of God and living in practical apostasy. When most of us pray, we ask God for blessings on ourselves. “Help me, give me, protect me…” and when we pray for “US” it is for the people close to us (family and closest friends) – and for me, the truth is I pray for them because I need them. So most of the “praying for others” I really selfishly do for me. Do I have the right to pray for MY bread, MY needs and desires if I’m not also willing to pray the same for people I have never met? Consider the mom in Honduras, caring for her children while her husband is far away working, or the child living in poverty in the USA – can I pray for my self-centered desires without praying that these (and millions others) will also have their needs met? It is not easy to admit MY sin. Asking for forgiveness is HARD, It requires me to admit I am broken and have done wrong. But Jesus does not tell me to ask for the forgiveness of just MY sin. I need to pray for the forgiveness of OUR sins: People who offend me, or threaten me as well as those who are much more”evil” than I. I am supposed to pray for THEM to find forgiveness, as I pray for my own forgiveness. Again it is natural to pray that God will protect me from evil and guide me, but it is super-natural to pray for the same for those I do not know, trust OR even recognize as part of MY world. …the difference between living out the will of God and living in practical apostasy. Praying “My Father” allows believers of creed and doctrine to deny God in through their actions. John is saying, as Jesus taught earlier; having the LOVE of GOD demands us to LOVE OTHERS – and love never exists without action. 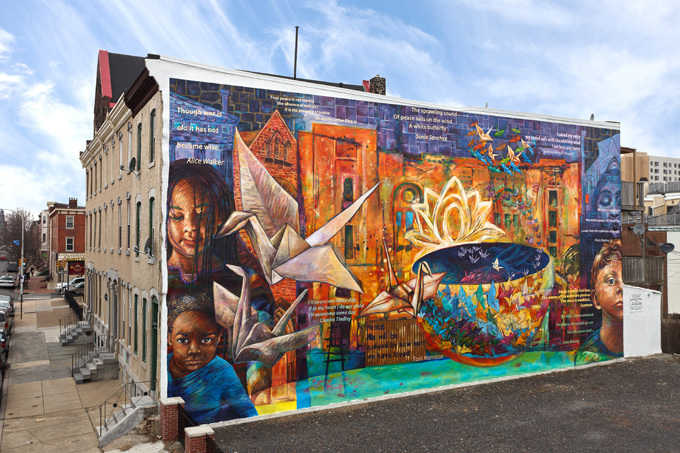 Economics, justice and social structures must be connected to our faith. Jesus was clear he came to proclaim Good News to the Poor and freedom for the oppressed. Praying the “MY FATHER” allows me to forget most of the world. It allows me to criticize another in a situation I will never face, who made decision I could never fathom. Jesus call us into COMMUNITY – out of ISOLATION, the power of the Gospel is new life within his grace and through his spirit. It is not about ME but all about US and the creation of his Beloved Community. …and STOP praying the MY FATHER.